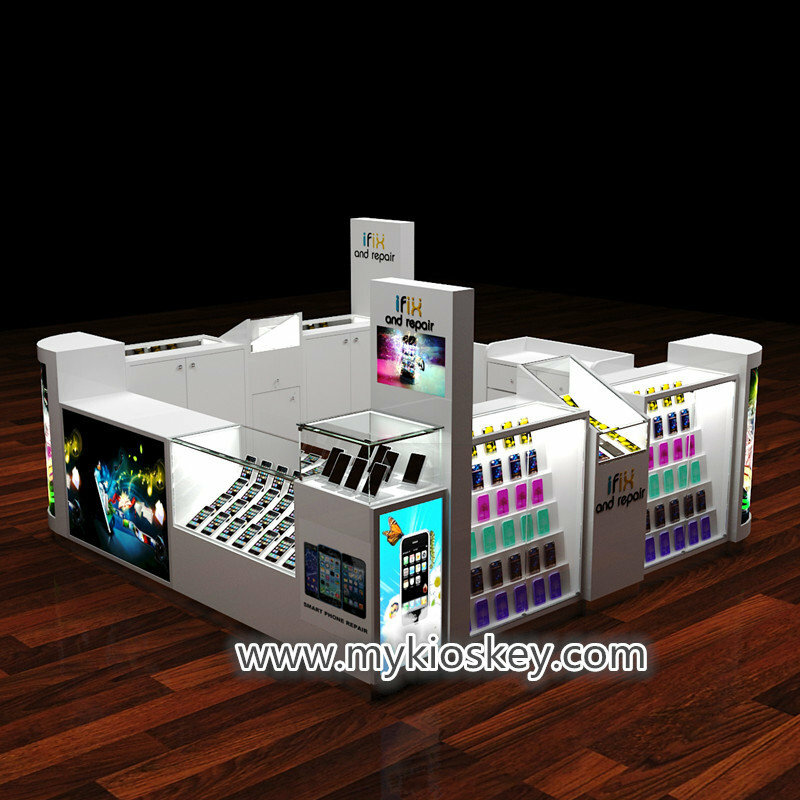 Christmas is coming!Wish you have a nice holiday in advance.One of my American customer who do mobile phone and accessories business told me he was very very busy these days,every day have many customers.lol,i can imagine.Mobile phone and accessories will be great sale during this time. 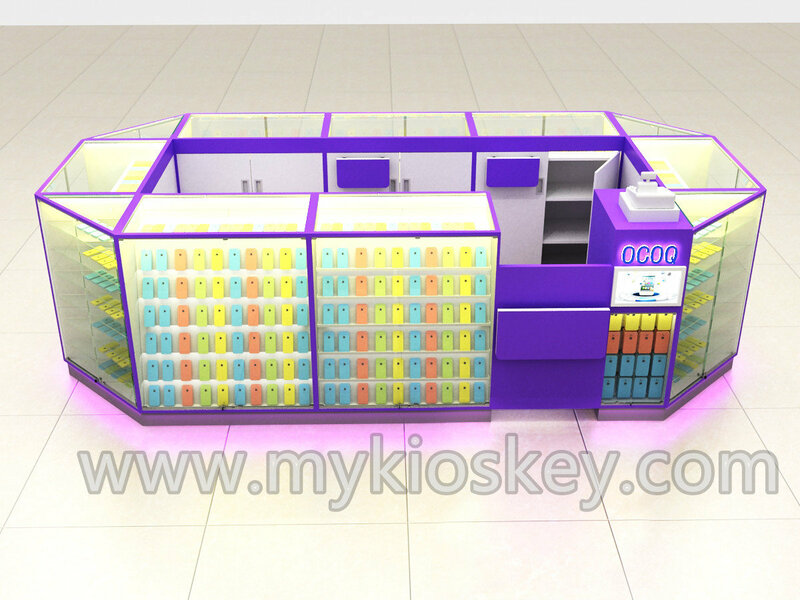 see this mobile phone repair kiosk,it is 12ft by 12ft,very creative and nice model.It has mobile phone accessories display,also have phone display. 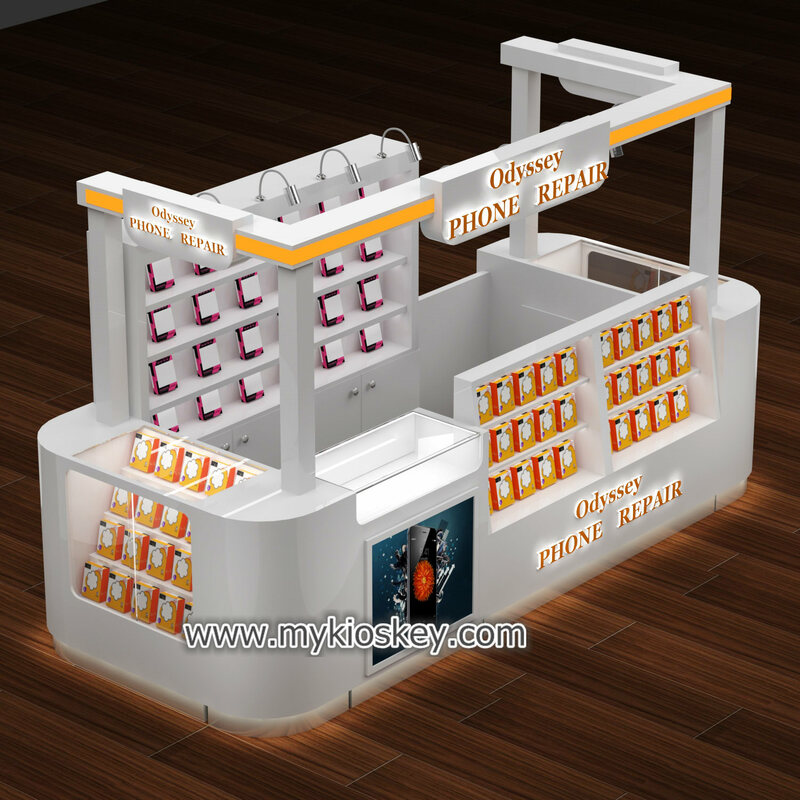 Because this customer also do phone repair,so back area has a repair counter.And front if those two tall pillars are two showcases to put Broken screens. 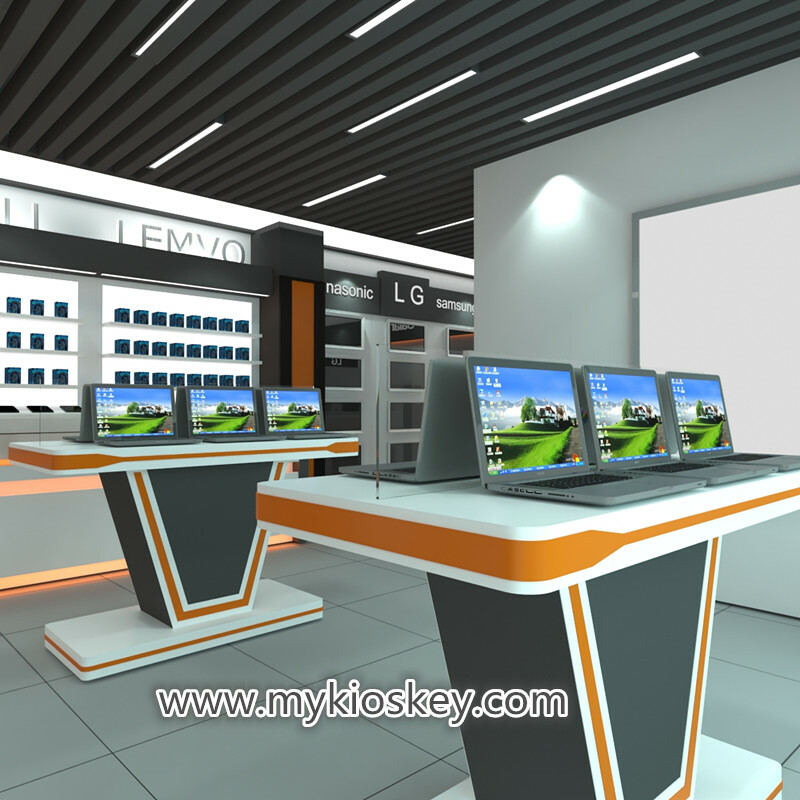 It totally whote color add eye-catching signatures,looks very nice. 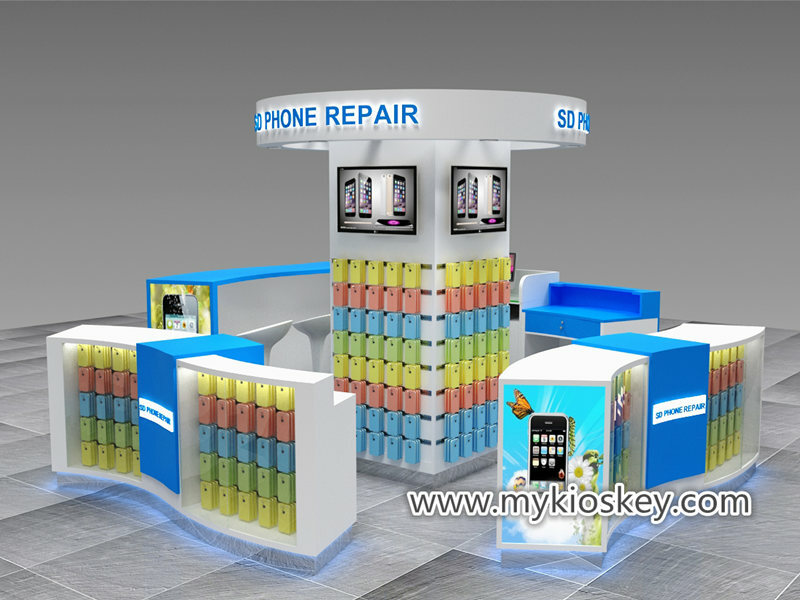 How we pack this mobile phone repair kiosk? 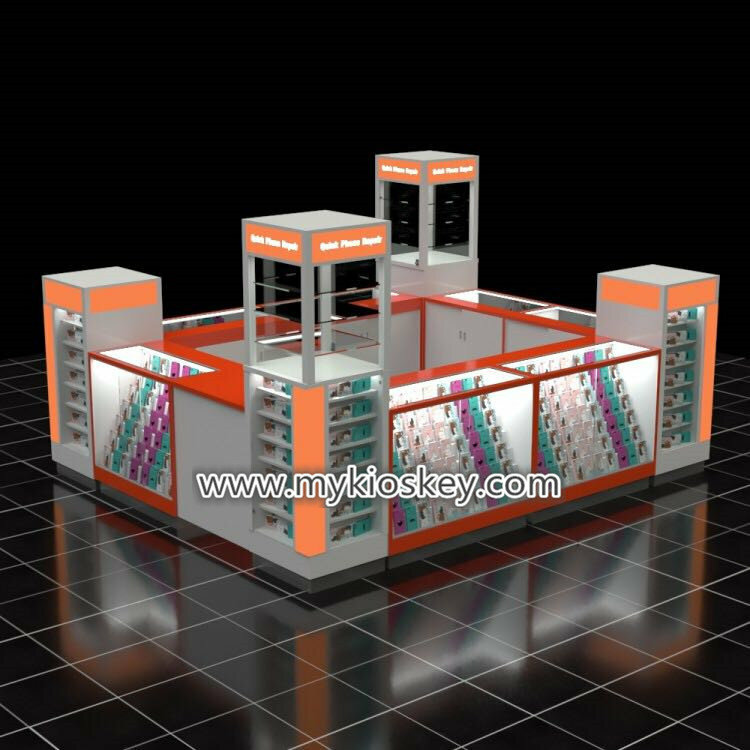 many customers will afraid when when received there is some damage.here,I want tell you,needn’t worry at all. 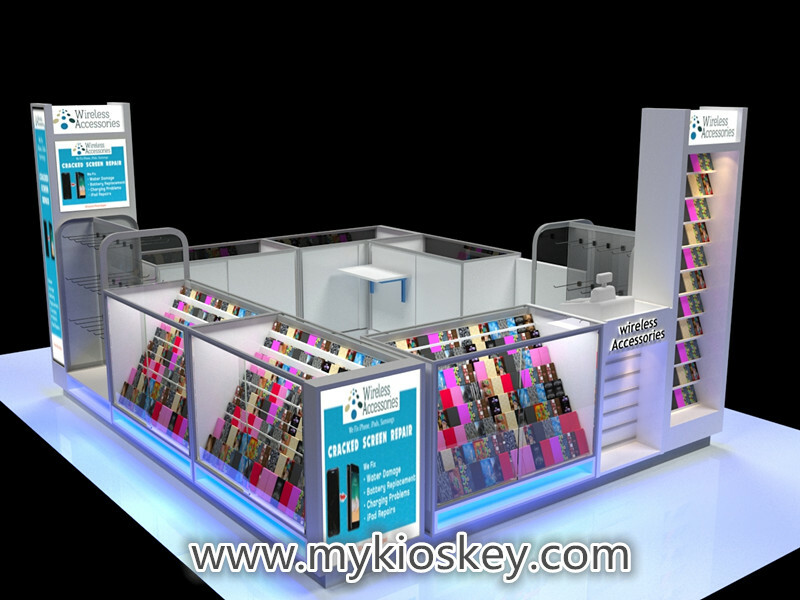 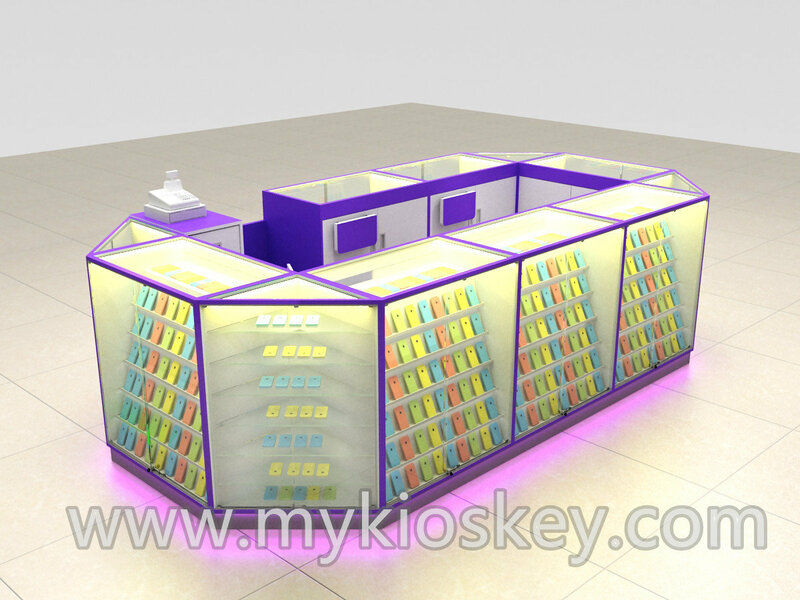 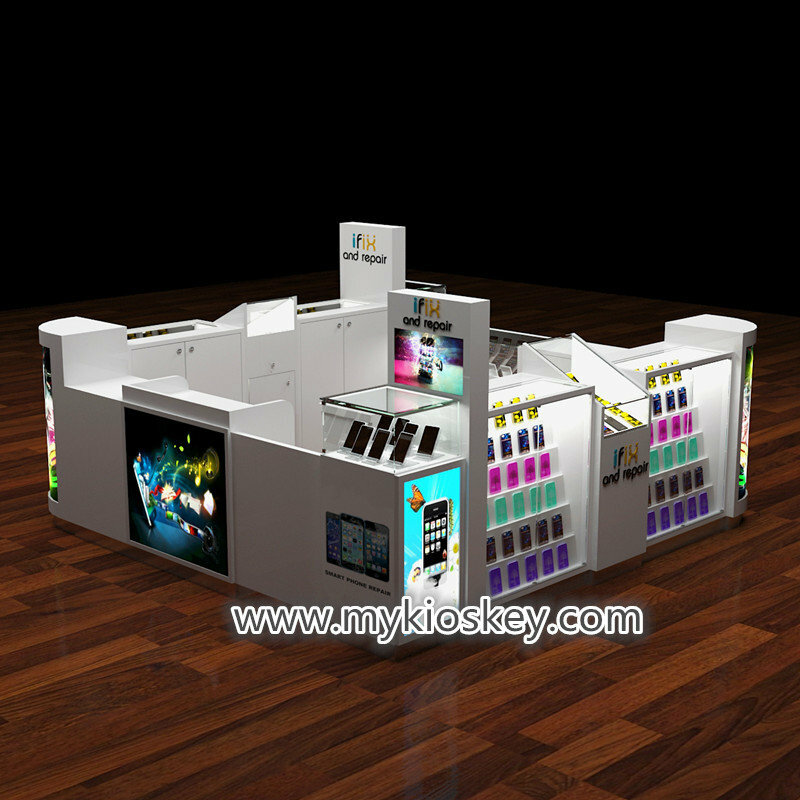 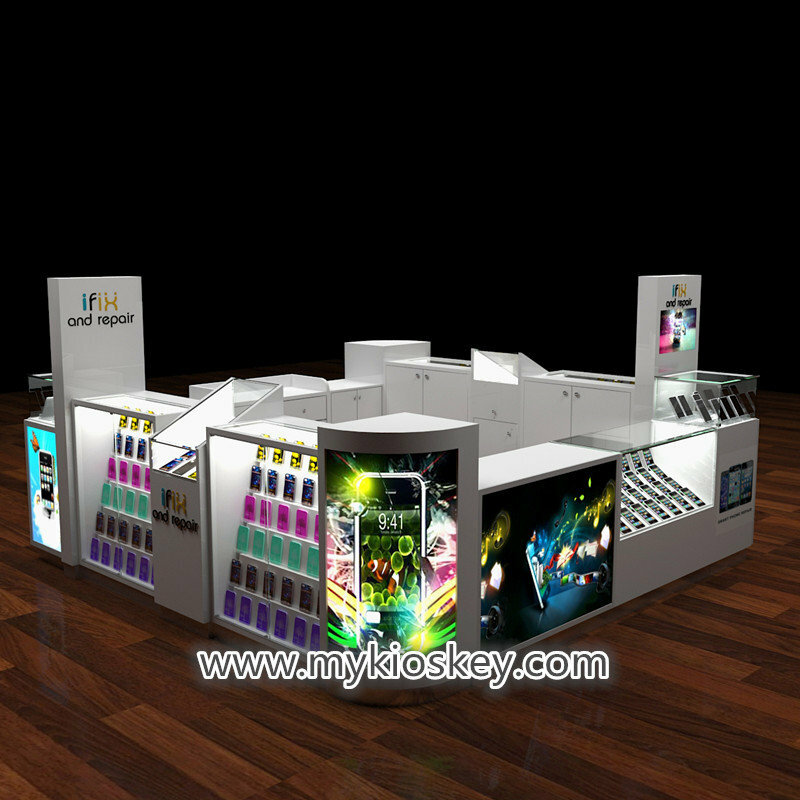 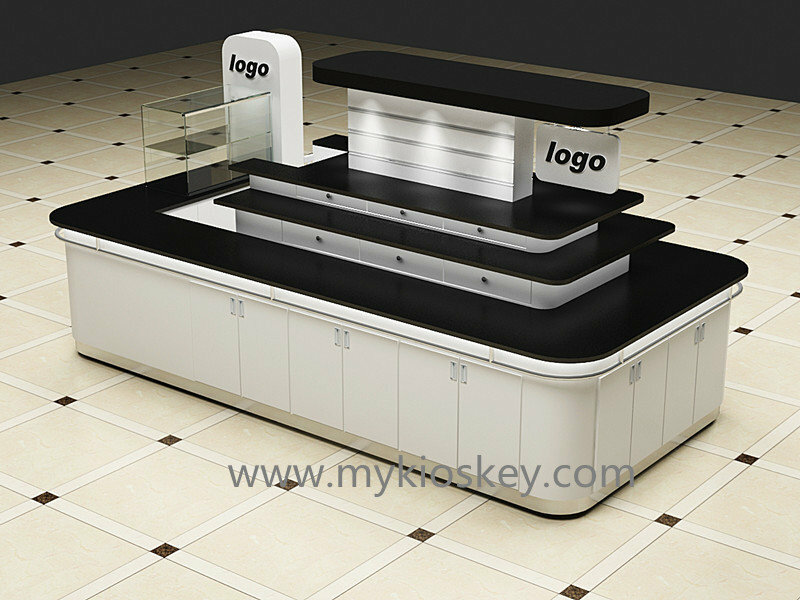 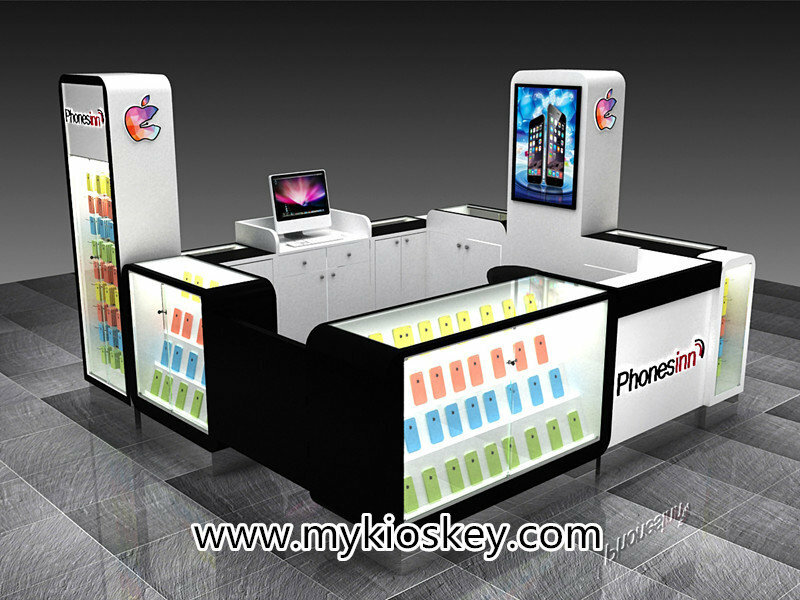 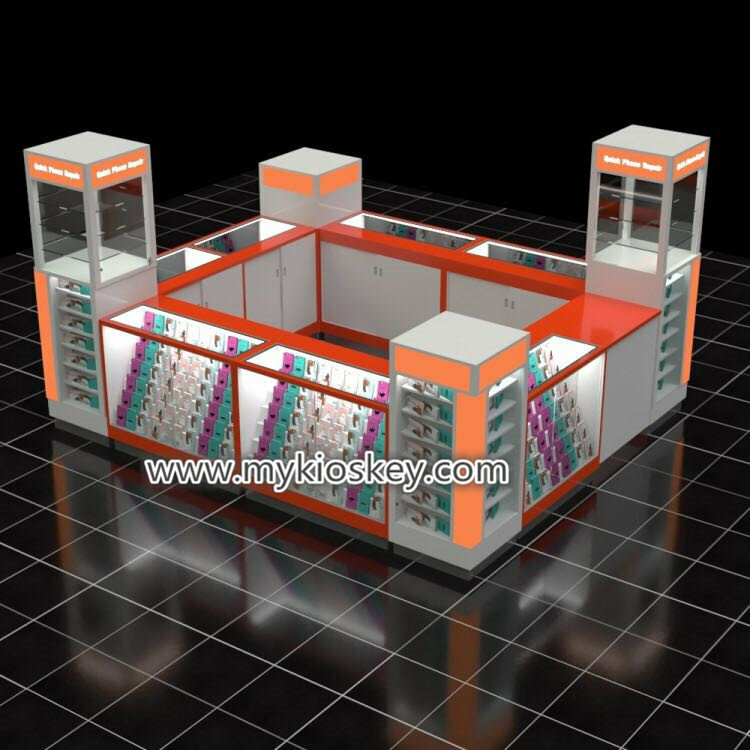 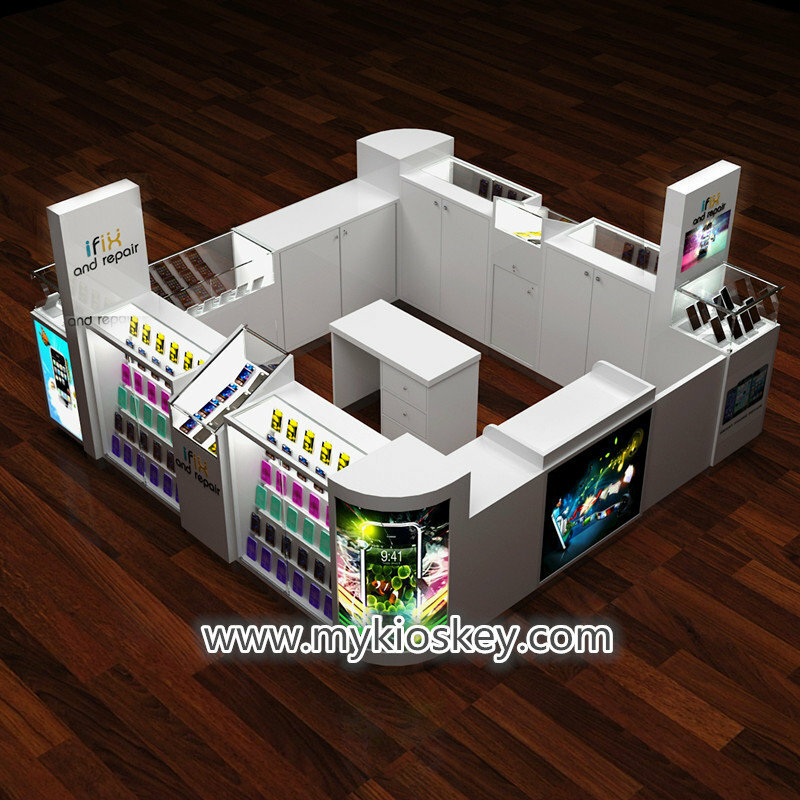 Why you can choose our factory to make mobile phone repair kiosk?